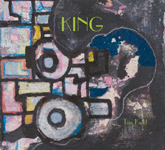 Tim Kuhl is a drummer, composer, percussionist, producer, and band leader. Born and raised in Baltimore, MD as one of five boys in a musical household, he studied classical and jazz forms before leaving home for New York City. He has toured and recorded with a diverse range of artists in addition to having been a full time member of many NYC bands like The Izzys, Christian Gibbs, Invisible Familiars, Sean Lennon’s The GOASTT, Margaret Glaspy, and the experimental group Little Worlds, whose Bela Bartok interpretations have garnered international critical praise. As a composer he has released a number of self-produced jazz and experimental records culminating in 2012’s St. Helena, which featured an all-star cast of New York music luminaries. 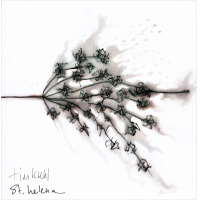 Tim Kuhl’s follow-up effort to 2012’s critically acclaimed St. Helena was 1982. Composed of sprawling soundscapes and taut electronic production, 1982 was conceived and composed on an iPad while touring the world playing drums with Sean Lennon’s The GOASTT. 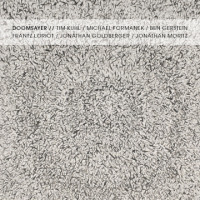 The album features collaborations with Satomi Matsuzaki, of Deerhoof, poet Geoffrey Bankowski, and Grey McMurray. Mikael Jorgensen’s (Wilco) remix can be heard exclusively on Kuhl’s SoundCloud page. Rich Ragsdale and Lee Gingold created two compelling music videos. 1982 was pressed to vinyl by Brooklyn’s Flying Moonlight Records. 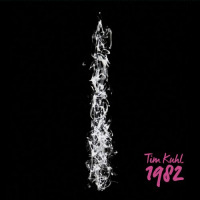 THE NEON DESIGN is the new single by Tim Kuhl. The composer displays a dark, cinematic soundscape that subtly distorts while crescendoing to a fierce climax. Kuhl is heavily influenced by music from Horror, Thriller, and Sci-Fi films of the 1970’s and 80’s. Kuhl’s next full length album SKY VALLEY will be released in early 2018. Tim Kuhl's - A Winter's Night of Music (12.14.09) + More ..
All About Jazz musician pages are maintained by musicians, publicists and trusted members like you. Interested? 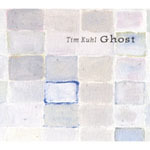 Tell us why you would like to improve the Tim Kuhl musician page.